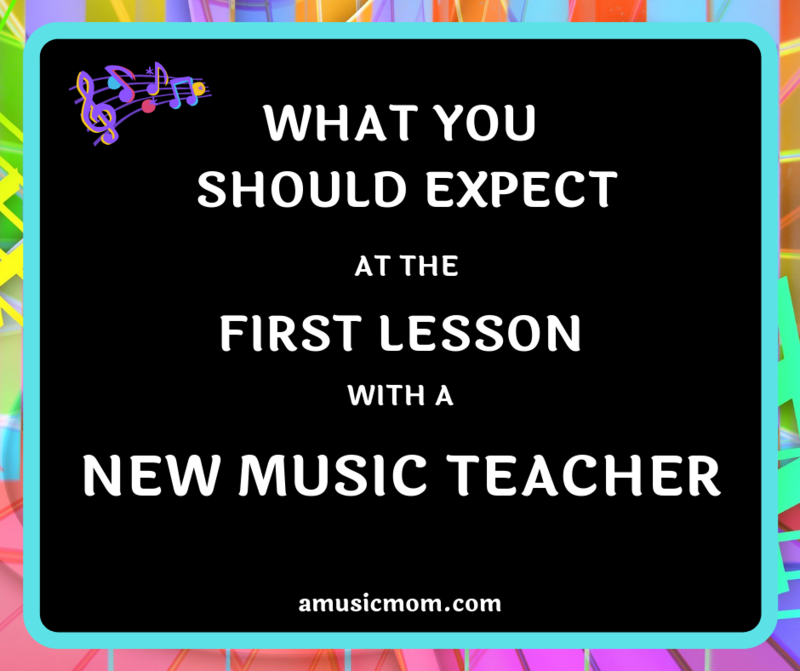 Are you starting your child with a new music teacher? Have you had to leave your music teacher? Maybe you moved, or the teacher moved, or the teacher just wasn’t working out. But now you have found a new teacher and are ready to get started. What should you expect from that first lesson? I hope you have found a great music teacher to continue with your child. Does the teacher offer a trial lesson? Have you gotten any references from this teacher? Have you checked out the references? Does the teacher have a printed (or online) studio policy covering payments, recitals, missed lessons, and make-up lessons? Have you read through the studio policies? Still looking for that perfect teacher? Check out these suggestions. Or are you still thinking about changing music teachers? Consider these ideas. Tell your child what you know about the new teacher. What is the teacher’s name? What should they call the teacher? How far will you have to travel to get to the new studio? Does your child know anyone else who takes lessons from this teacher? It’s a good idea for you to plan to stay in the lesson with your child for the first couple of lessons (especially if your child is younger, or very nervous/upset/apprehensive about the whole process). This will give your child some reassurance and will allow you to observe how the teacher teaches and interacts with your child. Your child should be prepared to play some music she has worked on recently, something she has played in the past. The teacher may ask your child to play something she worked on several months ago, some scales or technical exercises, a favorite piece, and some sight reading. All this helps the teacher understand your child’s musical understanding and abilities. What Should Your Child Bring to this First Lesson? 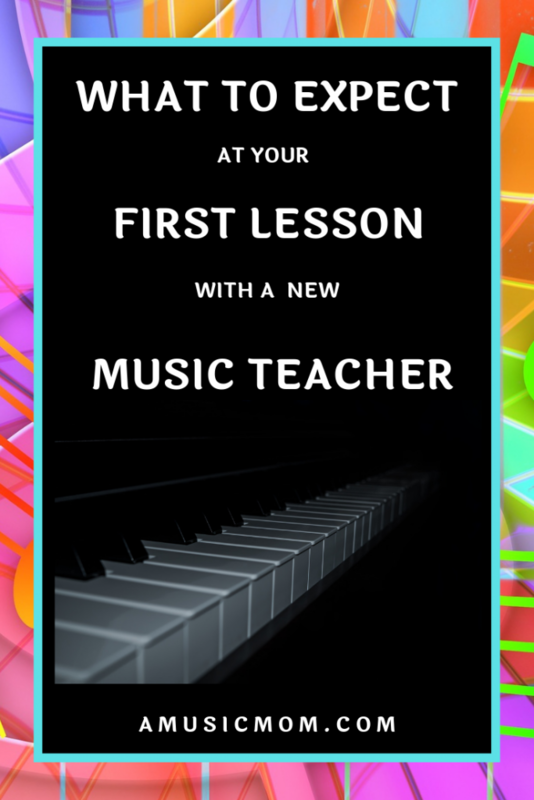 During this first lesson the new teacher will be trying to understand your child’s musical abilities. What has he learned so far? What does he do well? What does he need to work on? The teacher will also be looking for any technical problems your student may have, and posture problems that need to be corrected, any issues with form or technique that need to be addressed. Don’t be alarmed if the teacher suggests changing a bow hold, or changing a hand position, etc. This is part of the reason you sought a new teacher – you want your child to make more progress with his instrument. Changing certain things may be just what your child needs! This is not necessarily a criticism of the former teacher, but an improvement to help your child. The teacher may also suggest new music, or a new series of method books. Again, this is not a direct criticism of your former teacher. Different teachers have different approaches, and different lesson books are more effective with certain approaches than others. As the lesson progresses, you should be watching how the teacher interacts with your child. Is this someone your child will relate to? How professional is the teacher during the lesson? Is there a connection with your child? I remember watching my son’s trial lesson with one of his cello teachers. He had my son play a piece, and then asked him why he played it the way he did. The teacher just wanted my son to think about what he was doing, and to have a reason for the way he played the piece. The teacher made a couple suggestions, then had my son play the piece again. It sounded so much better. I remember thinking that, yes, this was going to work. He studied with that teacher until he finished high school, and really enjoyed working with him. While watching this first lesson, you should also check out the condition of the studio. Is it safe? Is it clean? Is there enough room for student, teacher, equipment, instruments, etc.? Do you understand all the studio policies regarding payment, missed lessons, make-up lessons, recitals, performances, etc.? If the teacher wants you to change method books, ask why. Why does he/she prefer this other set of books? What will your child gain from switching to a different set of books? How will this affect your child’s progress? Ask the teacher what he/she sees as issues that need correcting/changing. How will the changes benefit your child? The teacher should be able to give good answers to all your questions. Think through this first lesson. Carefully consider what you observed. Will your child adjust and enjoy working with this teacher? Can you trust this teacher to do what is best for your child? Will the teacher’s approach work with your child? Do you feel that your child will make good musical progress with this teacher? 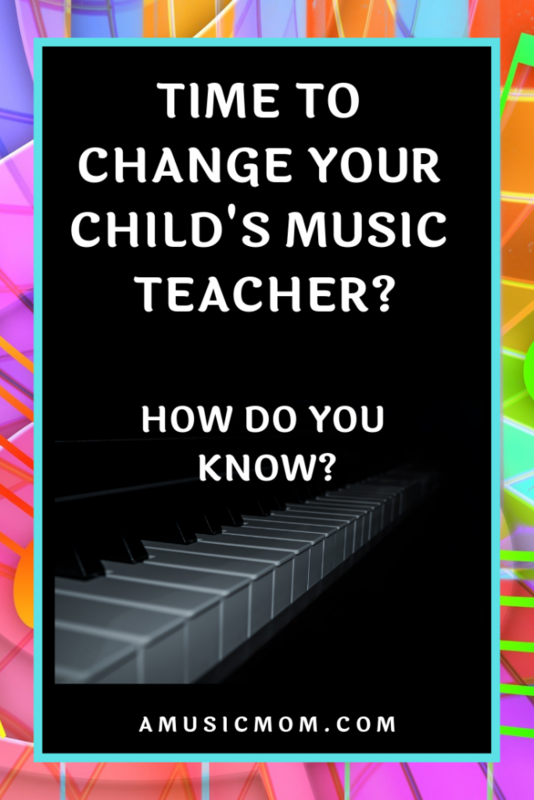 Will working with this teacher help your child enjoy playing her instrument more? Can you work with the studio policies? Are both you and your child comfortable with this teacher? 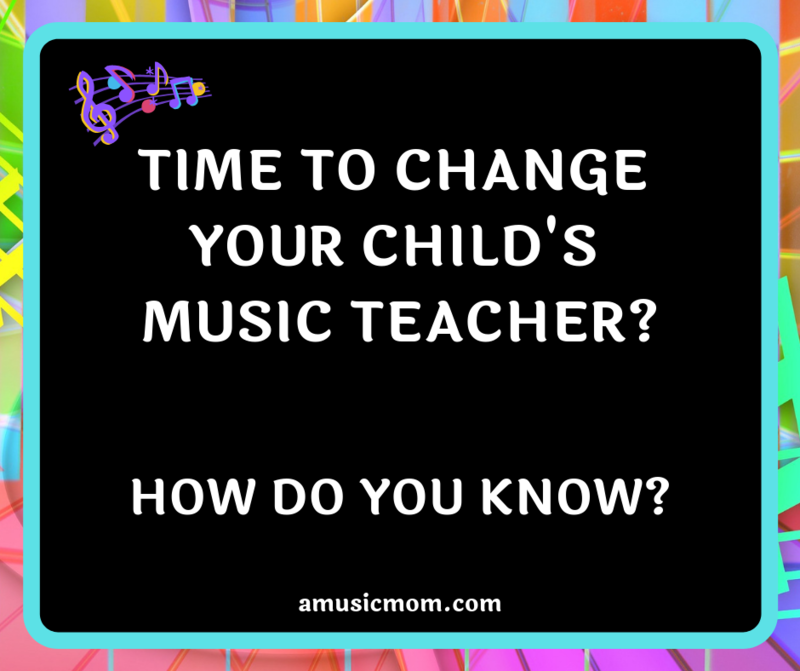 Author amusicmomPosted on April 2, 2019 April 2, 2019 Categories ParentsTags Change Music Teacher, music lessons, Music TeacherLeave a comment on How Do You Know if it’s Time to Change Music Teachers? Music competitions and auditions – the dreaded events of the music world. But are they really so dreadful? Do they have to be? Are these events important? Is there a way we can help take some of the stress and pressure off our kids before these events? Let me show you how to help your child prepare for and excel at competitions and auditions. First of all, consider the benefits of competitions and auditions. Obviously, one of the benefits is the opportunities provided by doing well at these events. Doing well at an audition might allow your child to participate in a band or orchestra outside their school group. Another benefit for your child is learning to deal with stress and pressure. Life is full of challenging events – learning how to cope with pressure while young will definitely be helpful to your child in the future. A competition judge might hear things differently than a teacher or have a different perspective on interpretation. Comments from “outsiders” can really help a student’s musical development. And sometimes, comments from a judge just reinforce something the teacher has been saying all along. But coming from a different source, the comments might just “stick” this time. So, how can you help your child get ready for these events? Here are some ideas for you. All competitions and auditions have certain requirements. Perhaps your child’s teacher has outlined them for you. But it is always a good idea to read the rules for yourself and be sure you aren’t missing anything. Is the your child required to have the music memorized? Be sure you know and be sure your child knows – well in advance of the event! Being disqualified because you didn’t follow the instructions is heartbreaking! How many copies of the music are required for the judges? Is an original required? Be sure you check for this and have at least one original copy of the music (if required). Be sure to have marked anything in the music that you child is changing from the original – things like pedaling, phrasing, bow markings, articulation, breath marks, etc. Be sure the music is marked the way it will be played. And played the way it is marked! Judges look for that. Also, do the rules require the measures to be numbered? And where/how should they be numbered? Often competitions require measures to be numbered. This makes it easy for the judges to refer to specific places in their comments. Follow the rules! Will your child be required to state his name, the name of the piece he is playing, and the composer’s name? It is a good idea if he knows this in advance so he can be prepared. Does Your Child Know the Music? Can your child play the music well? Encourage him to practice. Suggest that he mark and practice just the problem areas. Have your child practice stage etiquette. For some, this is harder than playing the music! Can she correctly pronounce the name of her music and the name of the composer? Have her practice introducing herself and her music. What about after the performance? Does your child know how to react to any applause? Have him practice a bow and a smile. Or at least a smile! Have a practice performance (or more than one). Let your child perform for grandparents or neighbors. He can practice announcing himself and the music and acknowledging applause. 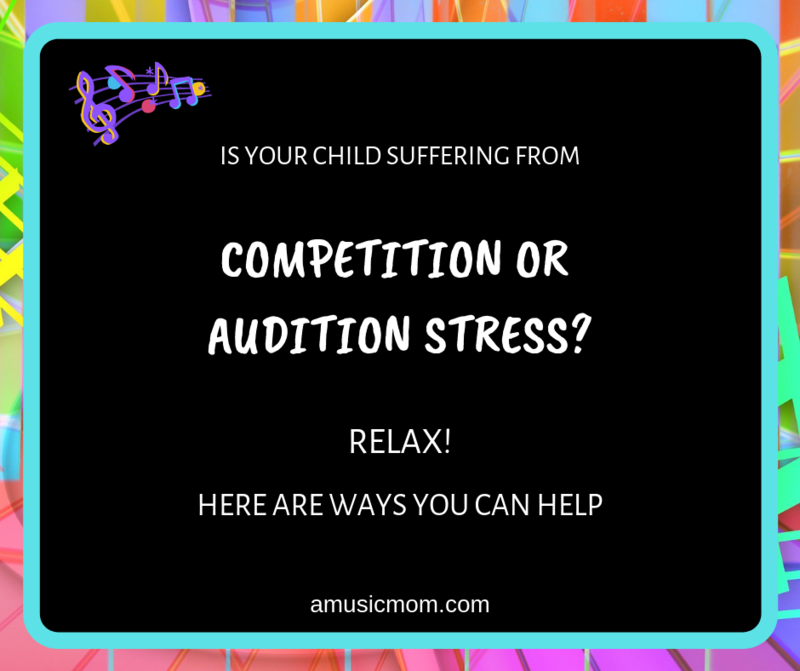 Whether your child is in a competition or doing an audition, it is good for both of you to keep things in proper perspective. Look at the big picture. In 10 years, how important will this event be? Will this event determine your child’s future? If not, relax! Consider every competition, every audition as a learning opportunity. What should your child learn? How to deal with stress and pressure. How to deal with disappointment. How to deal with success. Learning empathy – feeling for the other person. Importance of proper preparation. How to handle constructive criticism. Life goes on – learn what you can from the experience and move on. Go forward! Help your child by keeping yourself under control. Keep your temper, your emotions, your stress under control so you don’t negatively affect your child and his performance. Please don’t ask your child if she is nervous. You can be nervous for her, but don’t let your nervousness be contagious. I think I get more nervous when my kids perform than they do, even still! But I try to not let them know that. Be careful about what you say. Remember, you can’t take back what you have said, and your child will remember what you said. If they make mistakes in their performance, they know it. They don’t need you to list every one of them. Be honest in your comments but encouraging at the same time. Sympathize with your child but help them move on. And please, don’t play the blame game. If your child doesn’t win the competition, or get the coveted spot through an audition, don’t blame the judges. Don’t blame the room, the instrument, or anything else. What will that teach your child? Life doesn’t always go your way. Accept it and move forward. And help your child do that as well. Prepare in advance – know the time your child is scheduled to play, know the location of the event, and know the room your child will play in. Decide in advance how long it will take you to get there and leave in plenty of time! It is always best to get to the event early. That will give your child time to warmup, time to get oriented, time to get mentally settled, time to breathe. And give yourself time for the unexpected. We were driving to church one Sunday morning and were hit from behind by another vehicle. We had to stop, deal with the police, insurance, and all that. It messed up our schedule a bit, but it was far more stressful for the driver who hit us. He was taking his son to a chess tournament. Both father and son were very stressed about the event. The son was sick, the father was distracted, they ran into us. Don’t think that helped the son deal with his stress at all! Hopefully they had enough time to get to the tournament before it started! Even though your child may not have won, or may not have done as well as he hoped, recognize that he worked hard and survived! Celebrate that she learned a difficult piece of music and faced a challenge. Go out for dinner. Or have an ice cream cone. Or just make a special cake at home to celebrate. Let your child know that you are proud of his efforts, even if he didn’t win. Remember, parent, your goal in all this is to be a help and a support for your child. Be the one to encourage them to keep on learning and practicing! Like these ideas? Please save and share! 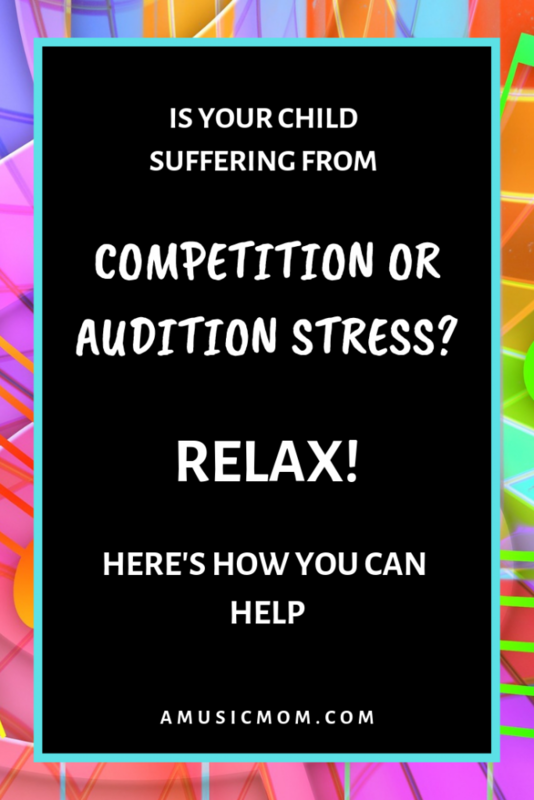 Competition or Audition Stress? How to help your child.